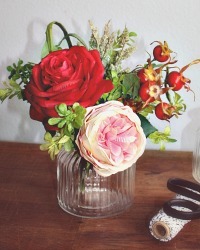 Sensational, our magical petite hand tied French Country Rose Posey is amazingly realistic. Inspired by the gardens of the Bourgogne area in France, the attention to every tiny detail makes this handpicked selection of incredibly realistic faux flowers the perfect present to brighten the home of someone you love. 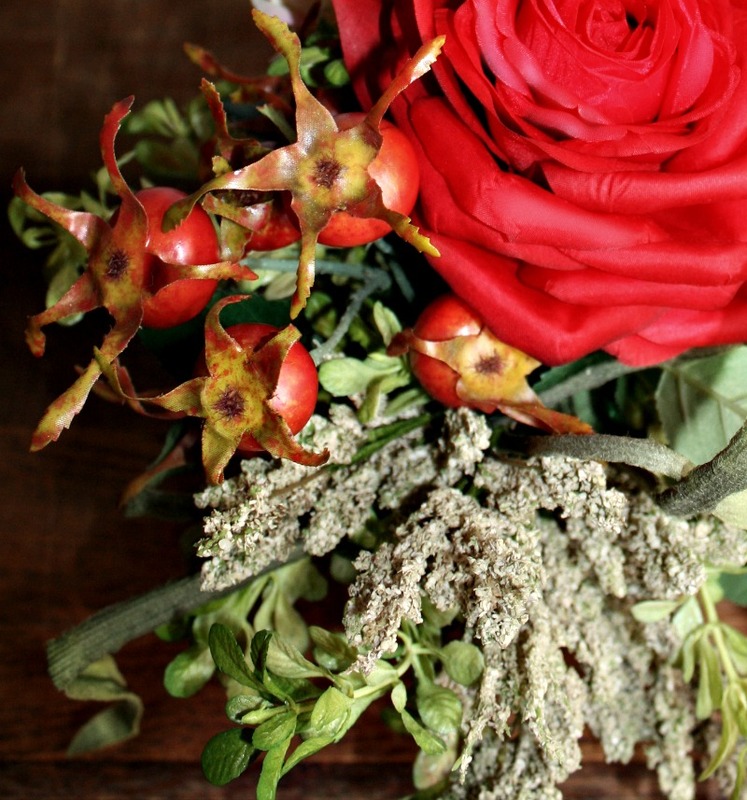 The soft petals of the enchanting pale apricot pink cabbage rose stands out amidst the deeper red rose, the rich rose hips, and the fresh mini boxwood stems. The cruciform grass adds a layer of delicious texture. 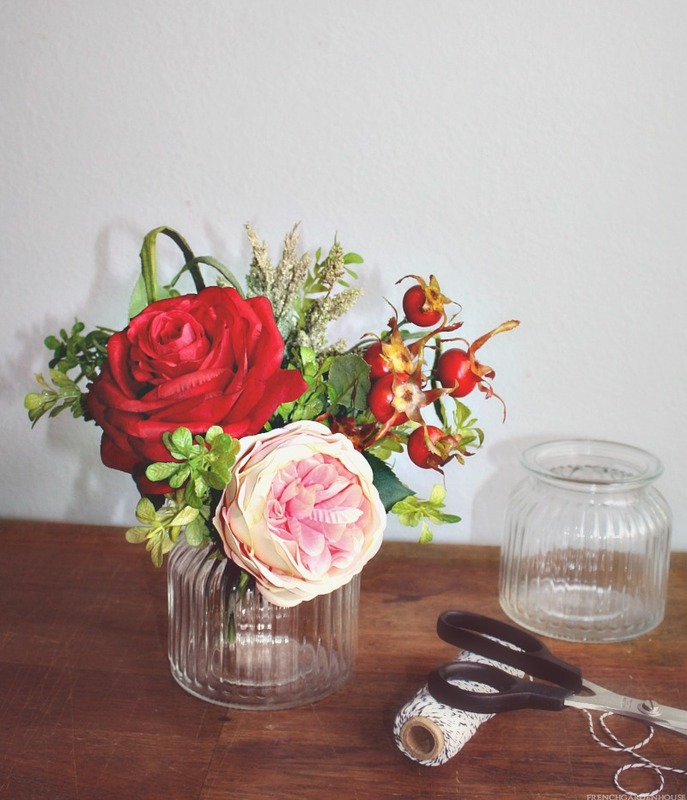 We've cut the stems to size, and hand tied this French Country floral charmer, making it easy for you or the lucky recipient to display in our ribbed clear glass vase that it comes with. 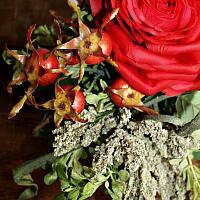 This beautiful bouquet contains approximately 6 stems. Measures about 12" x 11"to highest bud. Vase measures 4-1/4" x 4-1/4"h.